It is now easier to automate homes with High Quality Table Lifts from Progressive Automations. 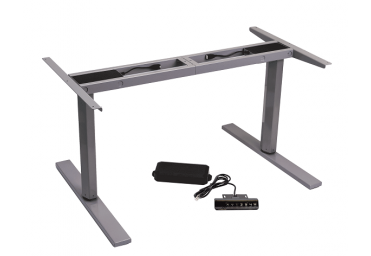 The table lifts are made of high-quality materials which enable them to withstand heavier loads at home. In 2014, several companies like Apple and Google entered the automation space to tap the growing industry. However, individuals are creating smaller, open source solutions that indicate the great potential of home automation. The following five projects have attracted the attention of many. The first product is “Brew Your Own Solution” created by software engineer Dan Watford. Watford ventured into the homebrews industry and encountered the challenge of controlling temperature. Occasionally, inconsistent temperatures would ruin batches of alcohol. Watford connected atemperature sensor to a computer to monitor the level of heat not just in a given moment, but over a period of time. Watford believed that it is unnecessary to look for an off-the-shelf solution, rather it is better for individuals to design their solutions.Making such a product at hometakes time, but Watford believed it is more liberating than purchasing a custom made one.The solution allowed him to control the temperature of his brew from home successfully. Now, the engineer is working on asolution that will allow him to brew when he is away from home. The second project informs a person where a dog has pooped in the garden. The automation project created by Eric Tsai is a GPS device which he attaches to a dog collar. The device senses when the dog wants to poop and generates the location of the poop on Google Maps which can be seen from a smartphone. Additionally, the device sends a short audio to his house to let him know that the dog has pooped. 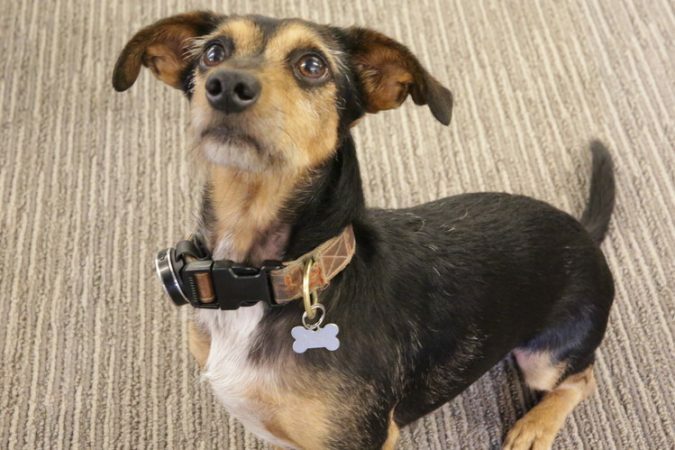 The sensor also enables him to locate his dog when it wanders off. The device contains a temperature gauge to determine the temperature of the dog. Tsai has also built a dog barking sensor which emails him when the dog barks and calculates the amount of the barking. He has relied on open source hardware and software to build his products most if which cost less than $20 in parts. The temperature sensor is cheaper hence he has embedded it on most of his devices. The third automation project was created by John Schuch, a former aerospace, and Motorola engineer. The project seeks to relay real-time information on the consumption of water. Schuchwas prompted by an irrigation pipe that burst underground without his knowledge. He was shocked to receive a monthly bill of $8000. He then decided to come up with a device to monitor his water use. The homemade solution had to be cheap, easy to operate, non-invasive to install. Schuch connected a three-axis magnetometer on the outside of the water meter. The magnetometer was able to track the water consumption due to the magnet inside the meter.The device then sent a signal which displayed at his house showing the information. He added trigger elements such that email and notification couldbe sent when the consumption exceeds a certain limit. OPENHAB is an open source framework for establishing standard interfaces and APIs in home automation. Kai Kreuzercreated the software out of disappointment from the existing integration systems which meant that one had to rely on a single ecosystem or manufacture. The platform offers an integration system for vendors and technology that is easy to maintain and extend. OPENHAB can be used with almost any IoT device and can be controlled with an iOS and Android applications or on a computer on JVM. The advantage of this system is its ability to work offline which eliminates the need to upload data to the cloud. 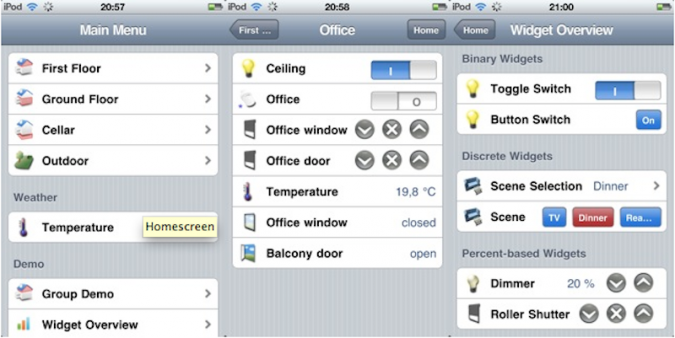 A more recent system than OPENHAB is Home Assistance. It was created Paulus Schoutsen, a software engineer using Python 3. The engineer wanted his lights to turn on once he got home at night. The system tracks the position of the sun in the sky. If it detects that you are at home and the sun is below the horizon, it activates the lights. It is also possible to create different abstractions for diverse conditions. However, Home Assistance is in its early stages of development,and the creator has not integrated most of the devices out there. While he has incorporated all the devices at his house, Schoutsen believes that by offering the system to other people, they will develop it further. Actuators have made home automation a reality. Actuators are embedded on machines to move or control a mechanism. Linear actuators havea wide application on TV lifts. Typically, people just take a wall mount for their television and place it anywhere without minding the viewing angle. A TV on a wall mount can be either too high or too which put too much strain on the viewers. However, the use of actuator TV lifts solves this problem. The lifts are automated such that one can adjust the position of the TV to achieve the desired height quickly.